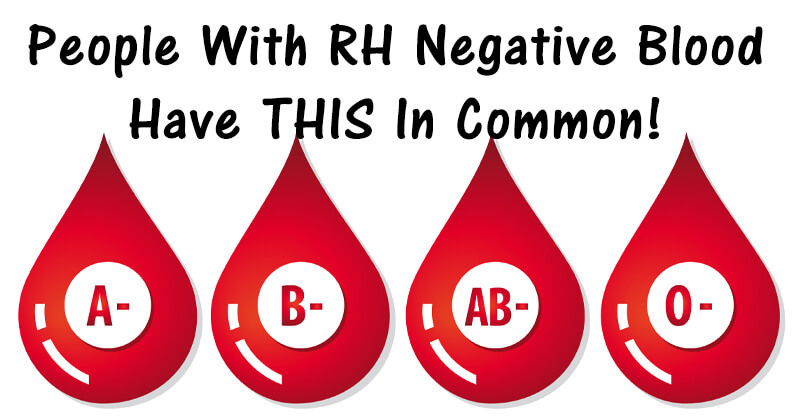 Home » People With RH Negative Blood Have THIS In Common! RH negative blood and RH positive blood are extremely incompatible. This is most clearly shown in the relationship between a RH negative mother and a RH positive unborn child. (This happens when the mother is RH negative and the father is RH positive.) Oddly enough, mothers with RH negative blood naturally create antibodies that will attack the red blood cells of any RH positive children. This condition is known as RH incompatibility and can be prevented with RH immune globulin. RH immune globulin is produced by some people like James Harrisonwho has saved the lives of about 2 million babies through blood donations alone!